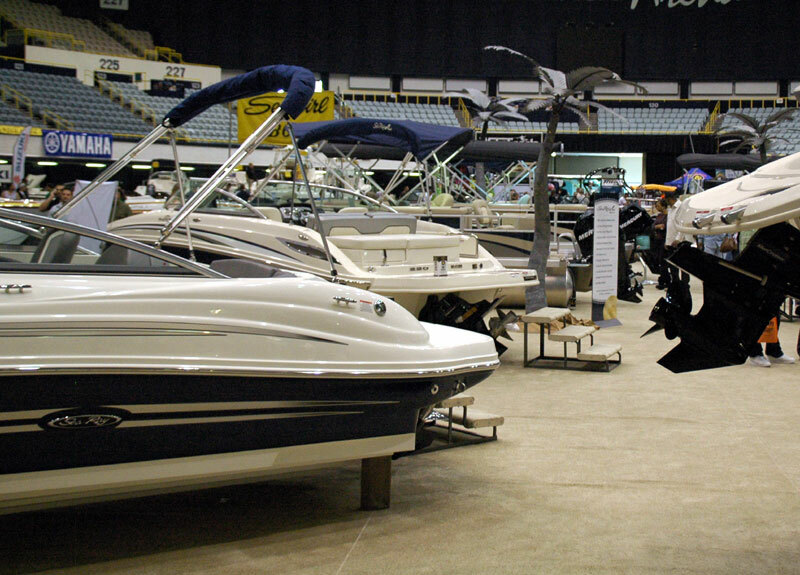 The 2012 edition of the Fred Hall Show, March 7-11 at Long Beach Convention Center, will feature more new boats than any event in recent memory. The entire Sports Arena will be devoted to hundreds of boats, in scores of configurations. The Fred Hall Shows always present the finest collection of fishing boats available to the public. But this year, there will also be high-performance boats, wakeboard and ski tow boats, deckboats, pontoon boats and just about every other type of boat, for nearly every conceivable use. Big engines will be on display from engine manufacturers like Mercury Marine, with an impressive factory display. Teague Marine will bring its “Desert Storm” display of monster marine high-performance engines to the show. You’ll also find marine accessories ranging from aftermarket high-performance parts for your Nordic, Howard, Hallett or Advantage boat to an impressive array of marine electronics for your Grady-White, Boston Whaler, Sea Ray, Bayliner, Robalo, Defiance, Parker, Crestliner, Triumph or Seaswirl fishing boat. Wakesports Unlimited will provide wakeboard accessories for your MasterCraft, Ski Nautique or Malibu boat. And everything you need for the Chaparral or Bennington boat of your dreams can be found at this show. For many anglers, bass boats rule — and Ranger, Stratos, Tracker and Phoenix will be on hand with the latest models to make you drool. This year’s Fred Hall Show will also display more kayaks than any other show.